Soleus Muscle Stretch: Get into the same position as the calf stretch, leaning against the wall with your leg stretched out behind you, heel touching the ground. However, instead of keeping the knee straight, bend it forward. This will stretch the soleus muscle located deep in your calf. 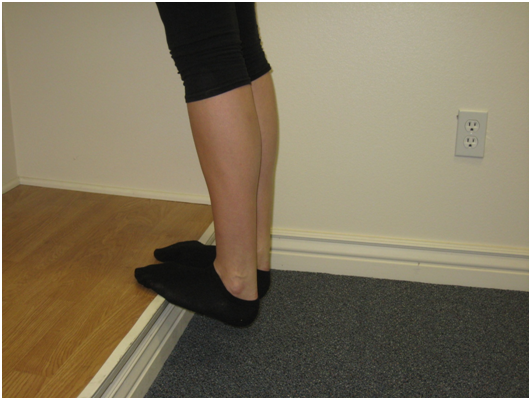 Stair Stretch: While standing with the toes on a step, drop your heels to produce stretch across the calf muscle or Achilles tendon. This will produce improved range of motion of the ankle and stability similar to the calf stretches. This is very effective, as it allows stretching of both legs simultaneously.